4-1 in favour of England, the scoreline read after the end of the exhausting Test series against England. To be fair enough, India had their chances in the series that could have made the scoreline somewhat different. But there are no if's and but's in the field of competitive cricket. Henceforth, the result. The next Test assignment for the Indian team will be a home series against West Indies. India will play two Tests against West Indies starting from 4th of October. Having lost a Test series against England, the team selection will prove to be an arduous job for the team selectors. Thus, with plenty of setbacks and positives from the Test series against England, the team selectors will have a tough job on the platter. Hence, let us look at what can be India's predicted squad for the Test series against West Indies. 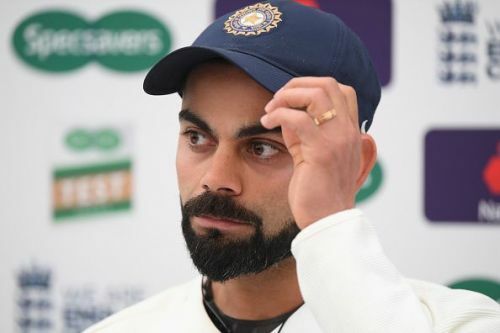 The one area that had been the problem for India in the Test series against England was the opening slot. Barring KL Rahul, the Indian openers have had a series to forget against England. Hence, selecting openers for the upcoming Test series against West Indies call for a strenuous job. 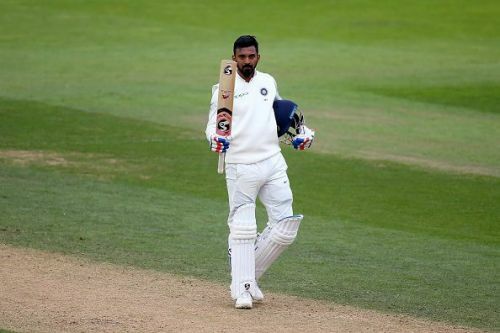 The one man who will unquestionably be a part of the squad is KL Rahul. He started off the Test series against England with a lot of discrepancies. However, as the time grew, Rahul got into the grooves of Test cricket and lived up to the expectations with the bat as well as with his excellent slip catching. Thus, with a decent tour against England, KL is expected to retain his place in the squad for the Test series against West Indies. An assortment of other two openers will remain a matter of concern for the selectors. Nonetheless, Prithvi Shaw a young prodigy from Mumbai is expected to be the choice for India in the Test series against West Indies. Unfortunately, Shaw didn't get a chance in the recent series. But, he is inevitable to retain his place in the squad owing to his great performances for India A in the recent past. The last man in the straw could be any of Murali Vijay, Shikhar Dhawan or Mayank Agarwal. Some might argue Rohit Sharma might be the one as well. But, Mayank Agarwal might make the squad as the third opener. The Indian management might test Agarwal on the Test stage so as the Indian management can evaluate him before the Test series against Australia.